Simple turnover ceremony with UAP officials. Director Carmen R. Zubiaga (seated) of the National Council on Disability Affairs meets with Arch. 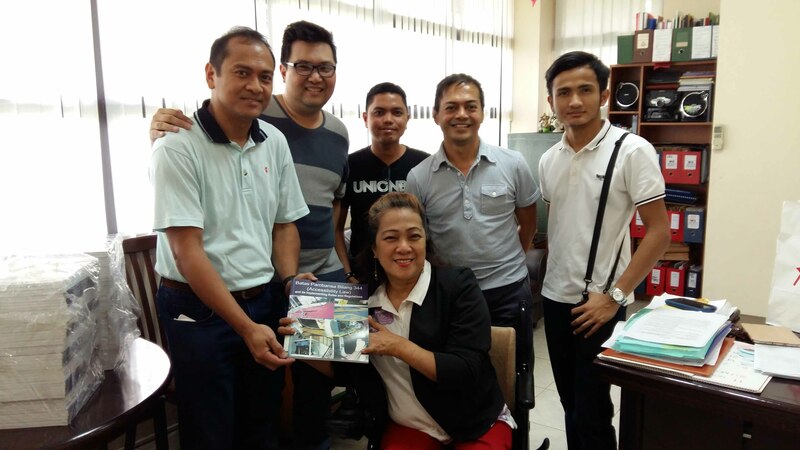 Joselito Francisco (left), president of the United Architects of the Philippines-Quezon City Central Chapter during the turnover of reproduced copies on Accessibility Law (Batas Pambansa Blg 344) and its Implementing Rules and Regulations, held recently at the NCDA Office in Quezon City. Also present during the turn ceremony were members of UAP-QC Central Chapter Arch. Erico Francisco (2nd from left), Arch. Randy Gomez, Arch. Peji Cipriano and Arch Justin Francisco.